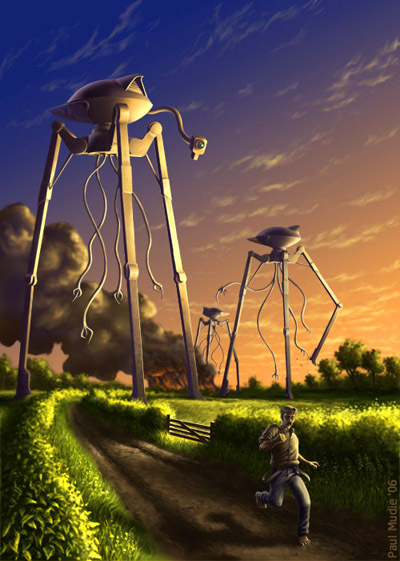 An illustration for the story by HG Wells. I had a lot of trouble with this one! I spent a lot of time trying to work out how the legs of the fighting machine should be structured and how the things would actually walk, while also trying to stick as closely as possible to Wells' descriptions. I'm reasonably happy with the way it worked out, but I might come back to this subject one day and have another go.